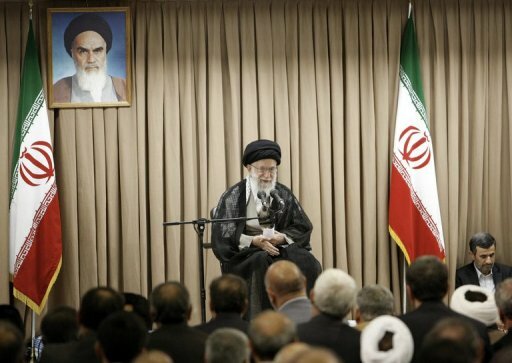 Iran’s supreme leader Ayatollah Ali Khamenei warned Sunday that Washington was “not trustworthy”, after former US officials and lawmakers urged diplomacy with the Islamic republic’s incoming president Hassan Rowhani. Khamenei said in March he was “not optimistic” over the prospects of direct talks with Tehran’s archfoe on the sidelines of its nuclear negotiations with major powers. The comments from Khamenei, who has the final say in the regime’s macro policy issues, came less than a week after former US officials and dozens of American lawmakers called for President Barack Obama to pursue diplomacy with Rowhani. And two members of the House of Representatives — Republican Charles Dent and Democrat David Price — have led a call for Obama to “utilise all diplomatic tools” with Iran’s new president. The lawmakers noted that the presidency in Iran had limited powers but said it “would be a mistake not to test” Rowhani. Rowhani who won a June presidential election has since vowed to engage constructively with the international community and to ease tensions raised by Tehran’s nuclear ambitions. Obama at the start of his first term in office in 2009 offered talks with Iran, which has not had relations with the United States since its 1979 Islamic revolution which overthrew the pro-Western shah. The United States has led a drive to cut off Iran’s oil exports, its key source of revenues, as a way to pressure the regime over its controversial nuclear work. Western powers and Israel believe the programme is being used to develop an atomic bomb, although Iran insists it is solely for peaceful purposes.